Although I have respected colleagues in paranormal investigation who immediately dismiss all poltergeists cases as fraud, to a student of history, this approach seems limited and unreasonable. So many poltergeist cases pop up throughout history and across cultures that such casual dismissals don’t make sense. These eerily similar accounts of blatantly nonsensical manifestations are reported by very different populations dating back to antiquity and differ greatly from the usual ghost story narrative. This strongly suggests something is actually happening that goes far beyond mere imagination. The German word “poltergeist” means “noisy ghost” and refers to the chaotic, cacophonous, house-wrecking phenomena that have been reported for centuries all over the world. These include, but are not limited to mysterious raps and other loud noises, untraceable fires and water damage, and the reckless hurling around of anything not nailed down by unseen forces. The word was first coined to describe such manifestations in 1638. Later Martin Luther would popularize the term in his religious writings. In 1948, the OG ghost hunter Catherine Crowe introduced the term to English usage in her groundbreaking catalog of the strange, The Night-Side of Nature. The first recorded poltergeist case was in the 4th Century, according to Christopher Laursen, who wrote his PhD dissertation on the history of poltergeist phenomena at the University of British Columbia. Other sources attest such accounts date back to Ancient Greece. The prevailing hypothesis maintains these violent outbursts may not be due to ghosts or any external forces at all, but to the power of the mind alone. Today poltergeists are mainly viewed as uncontrolled tantrums of telekinesis perpetrated most commonly by adolescent females. The modern study of the unexplained, parapsychology, has largely reclassified poltergeist activity as a human-centric phenomenon with the new label Recurrent Spontaneous Psychokinesis (RSPK). However, fashionable this current explanation, such activity has not always been blamed on the unconscious psychic machinations of disturbed teenage girls, but to many other monsters including ghosts, demons, fairies, and vampires. 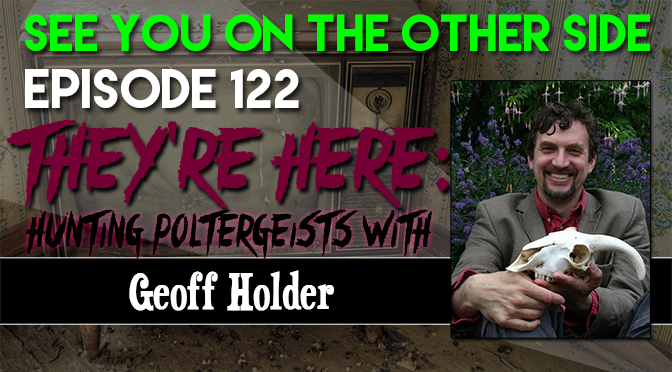 My favorite podcast discussion about poltergeists was with Fortean author Geoff Holder. 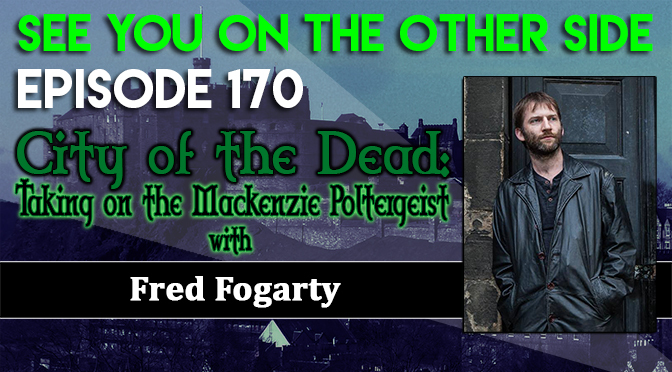 He spoke with us about his masterpiece of research, Poltergeist Over Scotland for which he examined 134 poltergeist cases documented in the historical record. Many different cultural contexts have been imposed upon poltergeist manifestations over the ages. However, in his opinion, no one explanation applies to all cases, even our modern interpretation. He has found that only 1/4 to 1/3 of poltergeists center on an adolescent human agent. To Holder, poltergeist activity usually has no obvious purpose and may just be the work of feckless entities, essentially the “numpties” of the supernatural. Whereas most hauntings function as memento mori or cold comfort for mortality, poltergeist activity, on the other hand is often so chaotic it’s more likely to remind us that humans are not the center of the universe. Holder asserts that it may represent a non-human intelligence which is almost entirely indifferent to us. Although Holder admits hoaxes and pranks do account for some poltergeist cases, as they do for any reported phenomena, he maintains that they cannot explain away the literally thousands of poltergeist cases reported by multitudes of reliable witnesses and the consistency of their accounts over centuries. In his study of 134 cases, he found that only 4.5% involved hoaxing. The analyses of other researchers indicate these numbers are between 3% and 15%. Holder also hopes that the physical nature of poltergeist cases will open up the possibility for the scientific study of this phenomena. He cites one 2010 study of the unique audio signature of poltergeist raps as a step in the right direction. Conceivably studies such as these could some day lead to the scientific breakthrough for which every psychical researcher has been waiting. 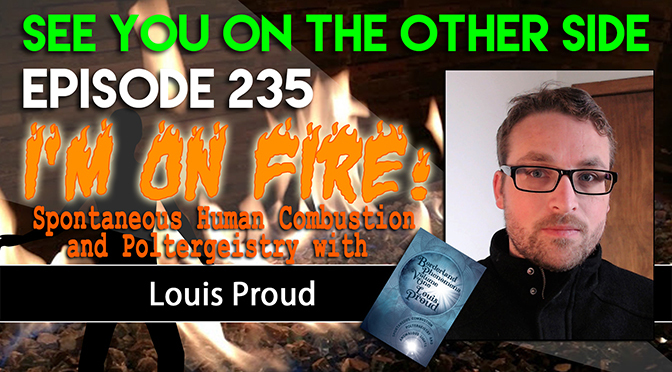 Author and screenwriter Geoff Holder has written thirty-six books on the supernatural from haunted guides of Scottish cities to stone circles and zombies, but its his research into hundreds of poltergeist cases throughout history that we wanted to talk with him about. 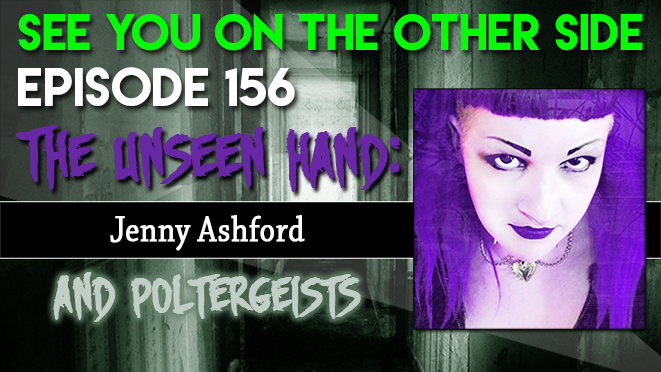 And Allison from Milwaukee Ghosts joins us again for this episode’s interview! Poltergeist is just the German term for “noisy ghost”. The movie has nothing to do with any kind of poltergeist phenomena that really happens to people, that was more like a family fighting a supernatural war and it gave regular people (you know, non-weirdos who don’t pay enough attention to this stuff) the completely wrong idea about what poltergeist activity was all about. A poltergeist is paranormal activity where people don’t see a ghost (usually, although Geoff Holder says that there is some visual element in about 15% of the cases he’s researched) but they hear knocking on doors and walls, objects move when no one is around, lights break, lamps are knocked off tables, etc… Poltergeists are troublemakers, but there’s not usually a haunting (i.e., story about a dead person) that accompanies the scene. One of my parapsychological idols, Loyd Auerbach, discusses poltergeists at length in his awesome do-it-yourself paranormal investigation book ESP, Hauntings, and Poltergeists. And it seemed to me that the idea of a poltergeist being a spirit was a relic of a more superstitious time. After all, those peasants just didn’t understand psychokinesis (moving objects with your mind, think about Luke making the light saber fly to his hand in the Wampa cave). I always thought that it was not a spirit or intelligent haunting but a manifestation of psychic energy coming from a pubescent girl. Her blossoming into womanhood also involves throwing a lot of plates around with her mind bullets. In fact, this is the explanation used in an episode of the totally sweet 80s show, Shadow Chasers, and good God I loved that show when I was 8. Make sure you listen to this awesome theme song, it’s like a paranormal Pointer Sisters. But come to think about it, Auerbach uses the teenager poltergeist hypothesis in his book and he was a parapsychology adviser to the Shadow Chasers TV show, so of course they’re going to go with that narrative! And it’s been a popular trope in fiction over the years. Just think about how popular Carrie was. It just felt believable. 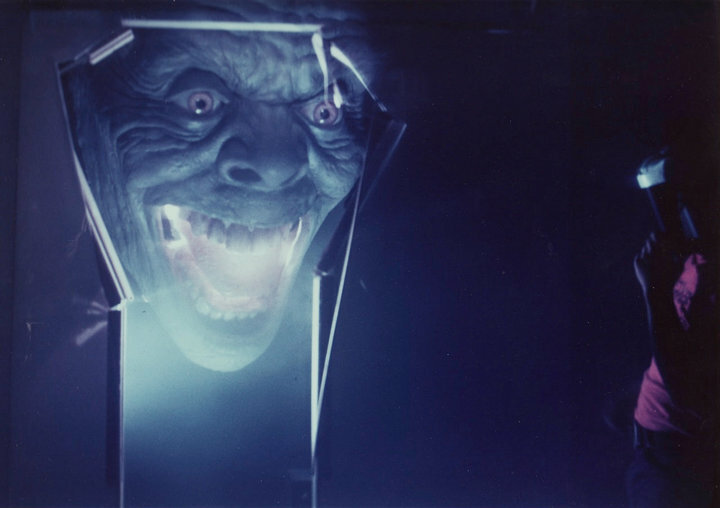 For some reason, the idea that we have the power in our minds to move objects through some kind of excess psychic force that happens when we’re in our wild hormonal years, seemed to be a much more reasonable explanation than someone coming back from the dead. Contrary to the movie, if you see this guy, you’re not experiencing a Poltergeist, but you might be part of a pants-soiling contest. But psychic teens? I’m with you. In fact, one time when I was on a bus tour of haunted sites, I heard a tour guide tell a woman that the poltergeist activity she was having in her house was a demon and that she should be wary. I almost punched that guy. Number one, don’t scare the poor woman. Number two, poltergeists aren’t demons. They are manifestations of wild psychic energy. Duh. Well flash forward a decade later and I’m glad I didn’t punch that guy (he only kinda deserved it), because Geoff Holder has opened my eyes to the idea that the psychic teenager is just the latest in a long line of explanations for these noisy ghosts. The first case he discovered was in the 5th century where of course the explanation is demons. Almost a millennium later, Martin Luther (yes, the guy responsible for the Protestant Reformation) is the first person to use the term in print. He blamed the Roman Catholic Church for them and just thought it was the Devil messing around with him. (Being a really holy dude, he considered the Pope a much more formidable opponent than Satan.) So, yeah, people have been saying poltergeists are demons long before mediocre ghost tour guides. 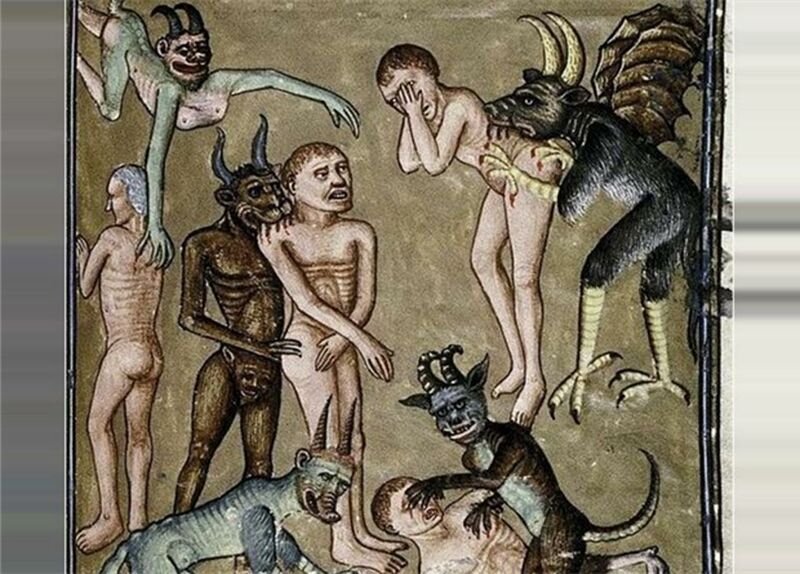 Look closely at the demon in the center, he’s got a little demon face where his junk should be! And not just demons, but fairies! This is where Geoff Holder blows my mind, because he talks about how what we think of as poltergeist activity, people used to attribute to fairies and they would even act in certain ways as to not upset the fairies (and of course many of the U.K.’s stone circles have faerie connections as well!) And this is where things get interesting. Poltergeist behaviors in the hundreds of studies that Geoff has looked into, doesn’t seem to follow human behaviors. If it’s the spirit of a dead person, wouldn’t that person still have some of their humanity left? Why would they just rattle the chandelier, why would they be knocking on the wall? For the love of God, why would they make more work for everyone by breaking plates?! Poltergeists act more like tricksters with an adolescent sense of humor (poop is often involved), their behavior is mercurial often causing havoc at the slightest or no provocation at all. Having a poltergeist in your house is like hanging out with the Joker from Batman or Joe Pesci from Goodfellas, you’re always on pins and needles because you don’t know what they’ll do next. They can be kind or cruel in equal measure and with no explanations why. And that’s completely in character with fairies, they’re not all Tinkerbell and godmothers. Fairies in the old legends are scary, they’re not just inhuman, they’re ahuman. They’ll do something wonderful for you one day and they’ll steal your child the next and you’ll never understand why. The fey are so fundamentally different from us. It’s similar to how we think of aliens. A 2012 National Geographic poll showed that a full seventy-seven percent of Americans believe that aliens have visited Earth, but you know that 77% of Americans do not believe in faeries. One thing Geoff Holder has showed is the context surrounding belief might change, but the paranormal behavior doesn’t. 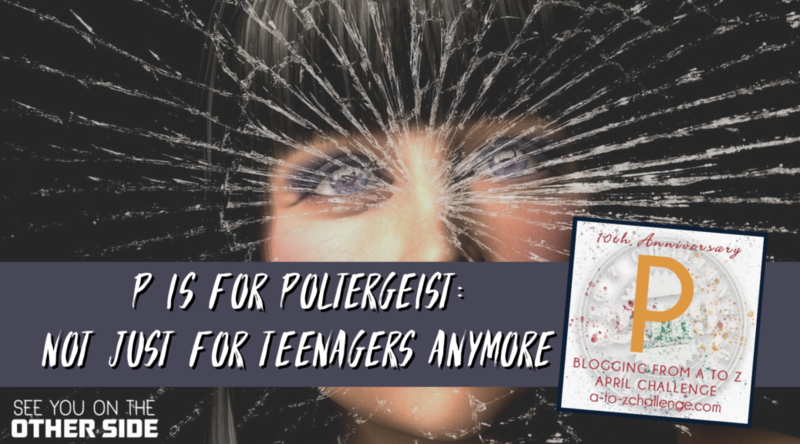 Whether it’s Bulgarian Vampires causing trouble or Teenage Drama Queens having a psychic blowout, poltergeists have an volatile and unpredictable quality to their actions. Humans have a particular set of needs and motivations, these phenomena, whether they’re aliens, faeries, or demons, they don’t have those needs. And they don’t care about ours. 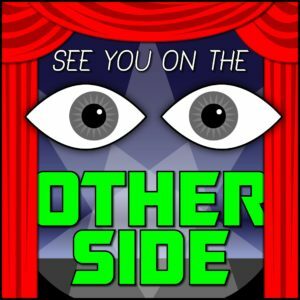 That inspired this week’s Sunspot song, “An Indifferent Universe”. Visit Geoff’s website to check out his awesome books and scripts right here! And here’s an extra treat, Allison was so inspired by the conversation that she wrote a poem right after we finished the interview… check it out, a little bonus to enjoy after you listen to the episode! Plowed under like lovely bones. Trample them beneath your feet. You can’t be bothered to ask why. But still you’re not a happy one. She’s up to no good now. Is she Eve or is she fae? You’ll never know her anyway. Doesn’t matter, you’ll have your way. Her playful smile, a sneak attack. Just can’t bear it unless it’s ours. If she is all, what do you own? She’s imprisoned in this shell. You should know, you can’t trust her kind.